Two ingredients, you can't get any simpler or faster then this! 1. Take a banana and slice into 1 inch thick slices. 2. 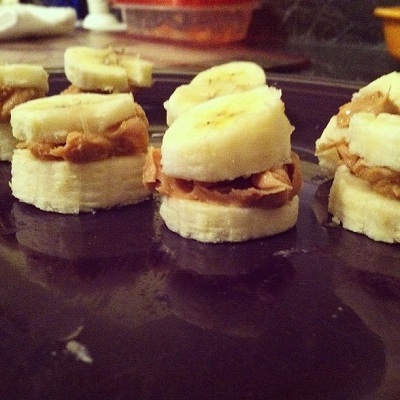 Take your favorite crunchy peanut butter and layer it on one slice of banana and top with another slice.